We're coming off Consecration Weekend, a time when members of our faith community shared their vision for Advent, and offered their pledges to support our congregation financially in 2017. 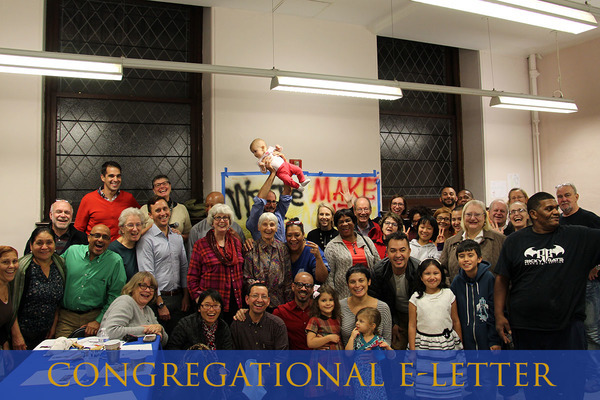 The theme of this Consecration season is "Write the Vision, Make it Plain," and we've learned that this congregation is abundantly full of vision. We are a diverse, Christian community committed to building relationships and transforming lives through faith and action. If you weren't able to participate in Consecration Weekend, you can share your vision for Advent or make your 2017 pledge online. Thank you for all the thought, time, prayer, and gifts you share to fuel the vision of our faith community at Advent Lutheran Church. This Sunday our delegation to El Salvador will share pictures and stories from the their trip in July, and next Sunday is Reformation Sunday -- so we have a bit of news connected to both. 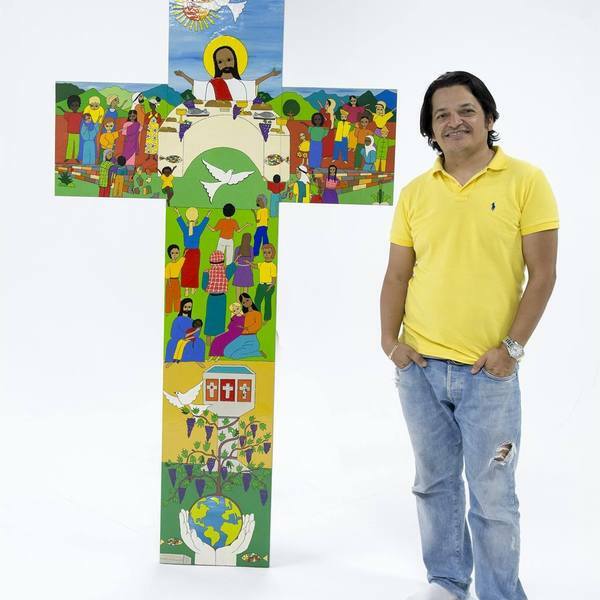 As some of you may know, the pastor of our sister church in El Salvador, Pastor Christian, is also an artist who hand-paints colorful crosses of all sizes. Recently he was commissioned the paint a very big cross for the Joint Ecumenical Commemoration of the Reformation in Lund, Sweden, hosted jointly by the Lutheran World Federation and the Roman Catholic Church. This event will officially kick off the worldwide celebration of the 500th anniversary of the Reformation, and Christian's colorful cross will be prominently displayed as it all unfolds. As the sister church of Pueblo de Dios, we rejoice in this wonderful recognition of Pastor Christian! The Lutheran World Federation published a full article about Christian and his art which you can read on their website. At our 10:10am Adult Conversation this Sunday, you can learn more about Pastor Christian's ministry, and how our El Salvador delegation joined the people of Calderitas, El Salvador in worshiping for the first time in their own building, which contributions from our Mission Fund and Other Benevolence helped them secure. Eco-Reformation 4-Week Study | As we near the 500th anniversary of the Reformation, it’s time for an Eco-Reformation! Join us for this four-part study on Eco-Reformation, from 6:30-7:30pm on four Wednesdays: October 5, 12, 26, and November 2. Even if you've missed it so far, you are welcome to join for the remaining sessions. Other ministries with events coming up soon include Sunday School, Confirmation, Youth Night, 20/30s Brunch, Adult Conversation, Community Lunch, Food Pantry, After School Program, Advent Chorale, Sunday Singers, and more! 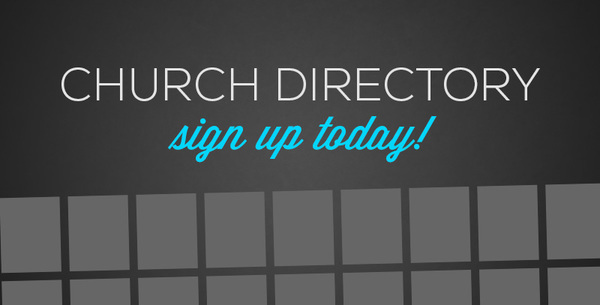 Check out our full ministry calendar for the details on your next ministry event. Special Music | Advent Chorale will sing Ukuthula, an African hymn for peace, at 11am worship. Adult Conversation | See pictures and hear stories from this year's delegation to El Salvador. Meets at 10:10am in the basement fellowship hall.